This page has general research resources. Please see the Internet Searching Tips page as well as the Start your Search Here page for links to some great websites. 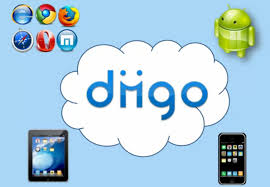 Diigo is a social bookmarking website which allows signed-up users to bookmark and tag web-pages. Additionally, it allows users to highlight any part of a webpage and attach sticky notes to specific highlights or to a whole page, click the image below for more info. TinkerPlots is a data visualization and modeling tool developed for use by middle school through university students. TinkerPlots can be used to teach grades 4 and up in subjects including math, statistics, social science, or physical or biological science... see the TinkerPlots Overview for more details. This dynamic software application is a comprehensive tool for descriptive and inferential data analysis, graphical visualizations, and simulations. This tool is recommended for use in high school and introductory statistics courses, and is available for free through June 15, 2015. Help videos for this software can be found here. his software tool, developed by one of our experts Dr. Webster West, is recommended for use at the High School/Introductory Statistics Level. It was made available for free by Pearson for up to 200 users in this MOOC-Ed. The access code for these licenses is: HSSSCL-SMELL-ASOKA-SEDAN-SOTUN-ADOWA​. The code is redeemable through May 1, 2015. Users that redeem the code prior to May 1, 2015 will have access to the software for a 12 month period. This free data visualization tool allows you to create interactive visuals of many different types of data. Recommended for high school to introductory statistics students or other areas such as science, economics, and political science.